On Friday I blogged about my battle with running and how I have signed myself up for now two road races this year – the City of Lincoln 10k in April and the British 10k in July. As you know, my personal challenge is to complete the Lincoln 10k in under 60 minutes (59:59 will do!!). 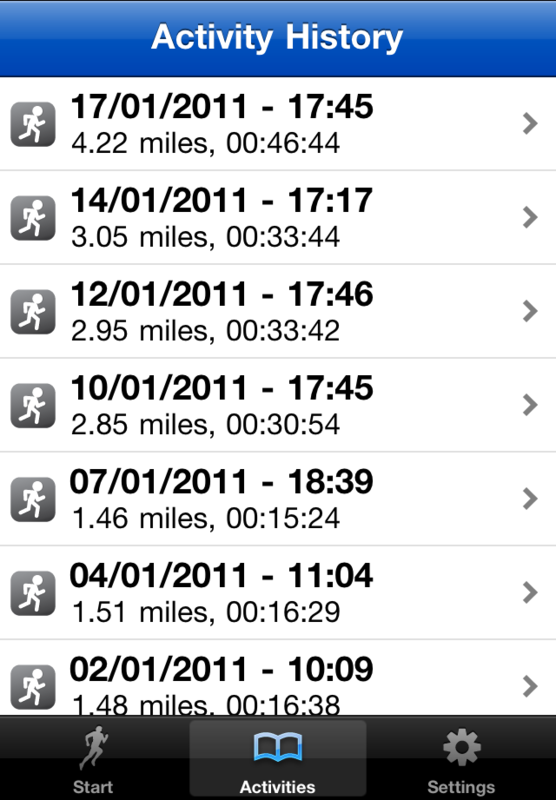 I started running again in readiness for the Lincoln 10k on 2nd January, and my plan is to get my distance up to the full 10km first and then work on my speed. I need to get myself back into the habit of going out for a run after work, which is really tough when it’s dark and cold and damp and my body and mind are tired. Since that first run on 2nd January which was 1.48 miles I’ve been out 7 times – my aim is three runs a week, gradually increasing the distance each week until I’m doing 6.2 miles (10km). 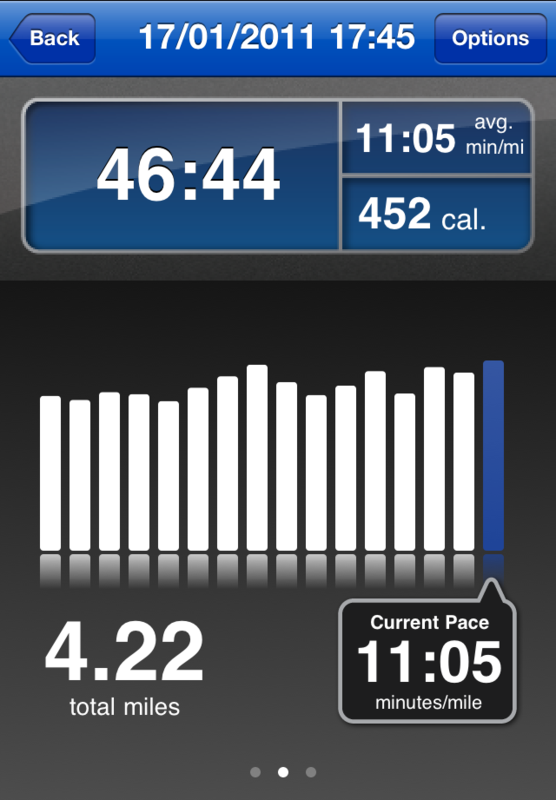 Last night I decided I wanted to do 4 miles, and ended up on 4.22 miles. It took me a massive 46:44 minutes, which I consider slow (way off my desired pace of 60 minutes for the Lincoln 10k), and was a real battle for my mind not to simply take the shortest route home. BUT, I am pleased with that – in 7 runs I’ve gone from a 15 minute jog around the block to a 45 minute run… my fitness MUST be improving! Right?! Oh, and 450 calories burnt feels good too!! I will never be an amazing runner… I know people who started training at Christmas and are already doing 4 miles in half an hour (sigh). But I really want this, and I hope that I can achieve what I’ve set out to do. It’s now less than 11 weeks until the first 10k I’m signed up for… ALL suggestions on how I can achieve my goals are welcome. Or you can follow me on twitter and keep prodding me to go for my runs and ecourage me that way. Have you considered setting some time aside in the mornings to go running? Maybe it’s something you may want to do to improve your speed once you have the distance. Also, try to build in a few days of strength training, this will help your muscles, too. If you have the opportunity, you could also vary your exercises, give your muscles something else to do. You could, for example, go cycling one day. It uses your muscles differently plus you occupy your mind with something else. Just a few thoughts. I know you can do it! !